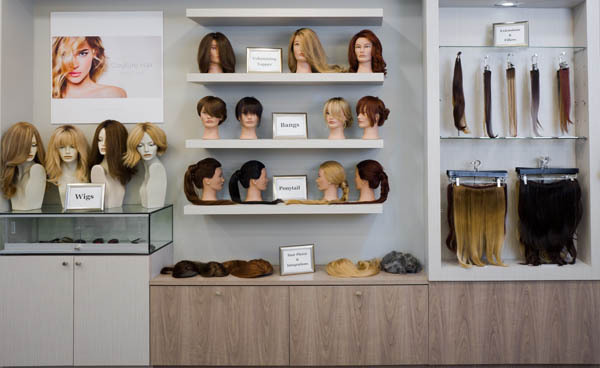 A beauty industry veteran, Angelo David Pisacreta, owner and Creative Director of Angelo David Salon, is a world-renowned stylist, colorist, makeover specialist, and a leading hair expert for thinning hair and hair loss. He is also the originator of Couture Hair Extensions, Fillers, Hairpieces, Additions and Wigs, and developer of The Angelo David Hair Care collection. By pairing his impeccable designing skills with artistic cutting, coloring and styling abilities, Angelo has transformed even the most challenging hair into lust-worthy locks. Due to his vast experience with hair, hair health and hair growth, Angelo realized that hair health issues often begin inside the body, not on the surface. Angelo David Hair Care and Angelo David Couture Brush Collection are available online at www.angelodavid.com. Angelo’s passions are his clients, his talented team and his family, who continually inspire him to create new hair care products and hair pieces that help women look and feel their very best. Also an avid philanthropist, Angelo David partnered up with New York radio station 95.5 PLJ for the second annual Blow Out Breast Cancer event in honor of Breast Cancer Awareness Month this past October 2016. Proceeds of the event go directly to the Samuel Waxman Cancer Research Foundation (SWCRF), an international research organization dedicated to curing and preventing cancer.